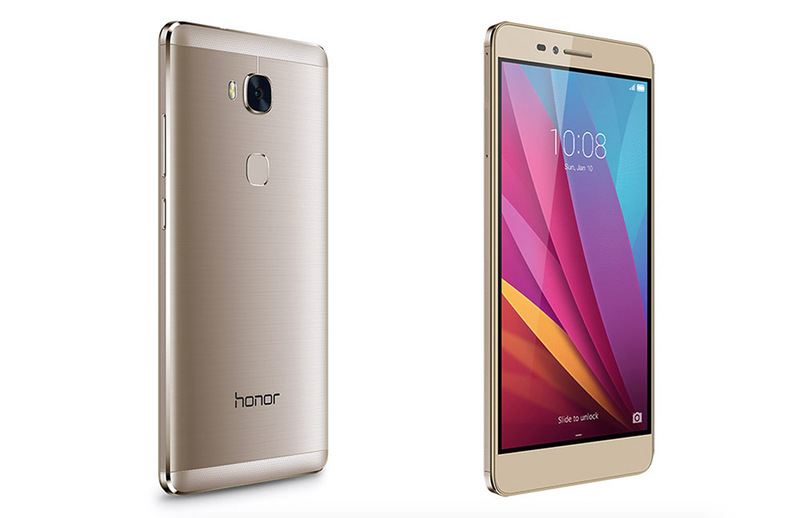 Huawei’s offshoot or e-brand, honor, announced the honor 5X last night to end press day at CES. The phone, even as one from a slightly lesser known brand, is well worth a look if you are in need of a new phone and have a strict budget. At just $199, with availability hitting Amazon and Newegg today (shipping on January 31), you can’t really go wrong here it doesn’t seem. The honor 5X sports a 5.5-inch 1080p IPS LCD display, 1.5GHz Qualcomm Snapdragon 615 octa-core processor, 2GB RAM, 16GB storage (with microSD slot), 3000mAh battery, 13MP rear camera, 5MP front camera, fingerprint reader, and Android 5.1 with Huawei’s EMUI skin. It also has full LTE compatibility with AT&T and T-Mobile. Again, you get all that for $199. As for the design, this is an all-metal phone that also has a ceramic coating. It comes in gold, grey, and silver, and feels quite premium in hand. Interested? Hit up the links below.